Now that I’ve set the scene for this Bavarian family’s lives, and deaths, we can turn to their American experiences. No doubt there’ll be more to come but I wanted to publish yesterday’s discoveries while it’s fresh in my mind. Instead of single-mindedly pursuing Philip/Joseph/Philip Joseph Kunkel, this time I turned my searches to George Mathias Kunkel’s half-brother’s children, the Ulrichs. I’d known that two of them emigrated to the States thanks to the local history of Dorfprozelten[i]. My theory was that perhaps if I found them I’d also find a link to Philip Kunkel (good luck with that!). There is still a Kuhn Metzgerei (Butcher’s) opposite the site of the Happ’s inn, Das Goldene Fass, but now a bank. I started out tracing Bertha Ulrich and her husband William Kuhn and found them easily enough in the US census records living in Syracuse, New York. Now I’d heard of Syracuse but honestly didn’t know where it was precisely so of course there was a quick trip to Google maps (next stop Google Earth). I hadn’t realised how close it was to the Great Lakes and Canada. The local history told me they’d had six sons which was confirmed by progressive censuses, but so far I’ve found no mention of their daughter who died aged six, presumably in an inter-censal period. The photo of Wilhelm/William Kuhn in the US gives every appearance of a successful man. This is borne out by the census details. 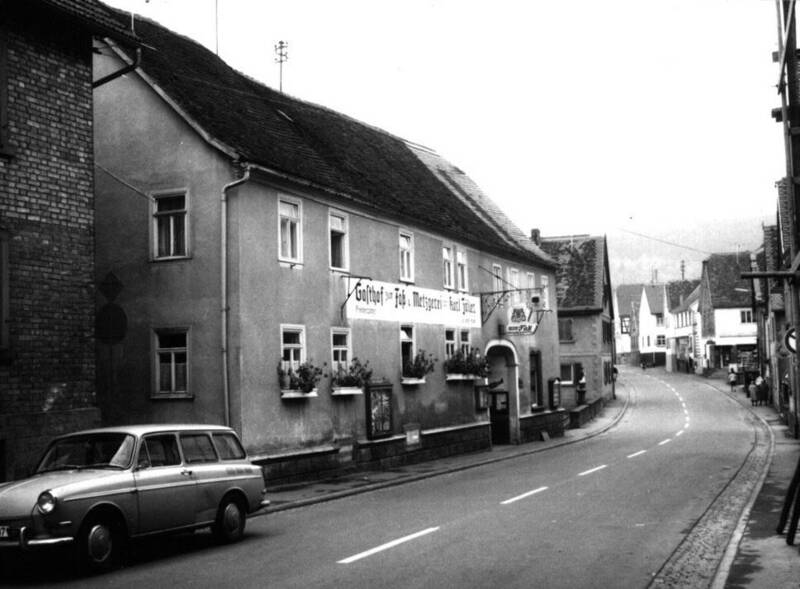 William’s father was a butcher (Metzger) in Dorfprozelten and their house was almost directly across from the Happ’s inn[ii]. These days there’s still a sign for a Kuhn butcher’s shop but the inn no longer exists, replaced by a bank in the 1960s or 1970s. 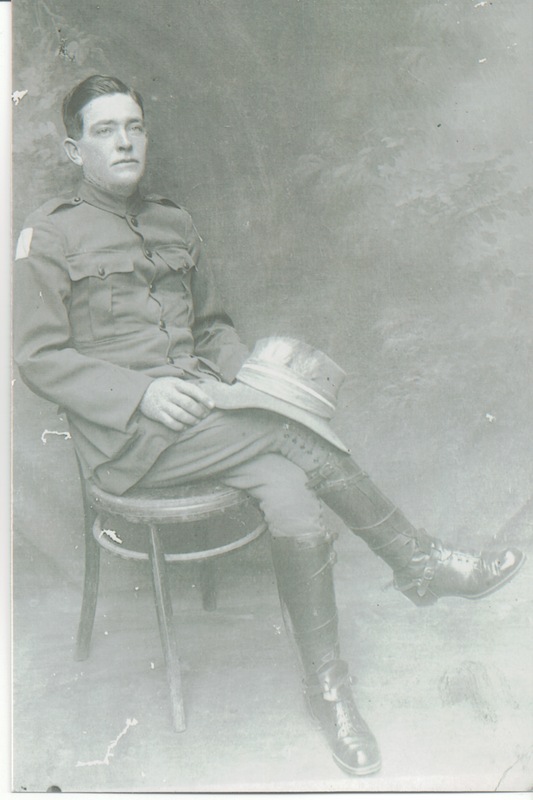 William Kuhn followed his father’s occupation working as a butcher in the market. Doing a Google search I came across links to newspaper articles on the Newspaper Archive site. This was the second time in a couple of days that I’d wound up here so decided I’d best follow up the nudge, and signed up. It has proven to be very helpful for some notices and there are no doubt more tucked away when I persist with trickier searches. The site’s terms and conditions preclude you doing almost anything with the information apart from reading the articles in a dark room on your lonesome, so I can’t (on my current reading) add as much as I’d like here, though I’ve emailed for clarification. When you come across sites like this you realise just how great, and unique, Australia’s Trove site is. Not only is it free, accurate, highlights the precise wording and is easy to use, you aren’t as limited by terms and conditions. However it is curmudgeonly to complain when you have no opportunity to read newspapers from far away. Without going into the prohibited detail the obituary for William Kuhn confirmed that he had been a successful butcher for over 50 years, gelling with the census. It refers to his brothers Ludwig and John Kuhn, both in the States, and his sister Marie Seus in Germany. 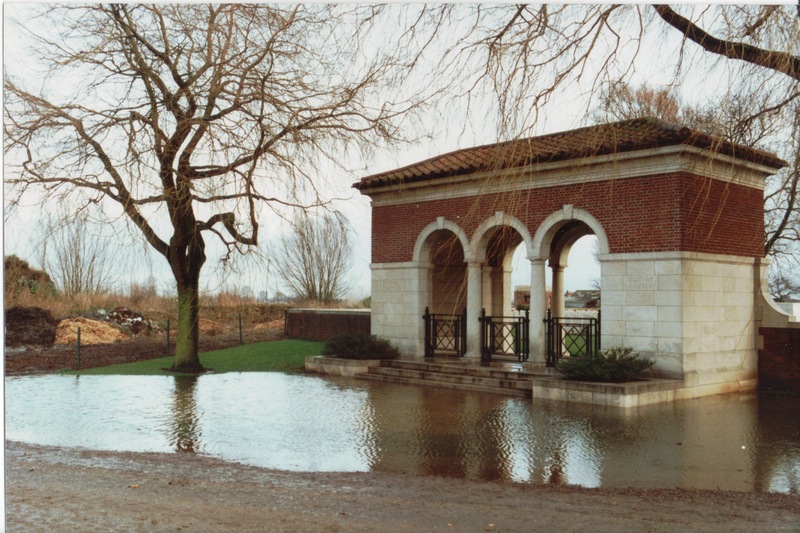 [iii] Ludwig’s migration is not listed in the Dorfprozelten history so is new information both in terms of this story as well as the local history in Bavaria. William and Bertha Ulrich had 5 children in 1900, all surviving[iv]. They were Joseph P Kuhn, William Kuhn, Jacob G Kuhn, John P Kuhn and George Kuhn. At the time of the census William’s brother John (Jacob) was living with them and also working as a butcher. 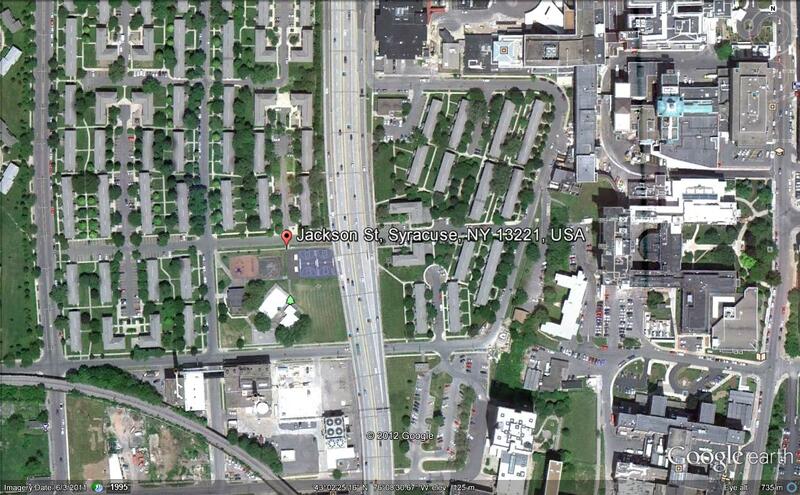 They were living at 208 Jackson St, Syracuse, not far from Bertha’s sister Josephine of whom more anon. The William Kuhn and Beuttner families lived in the same street which appears to have been affected by the freeway. Image from Google Earth. 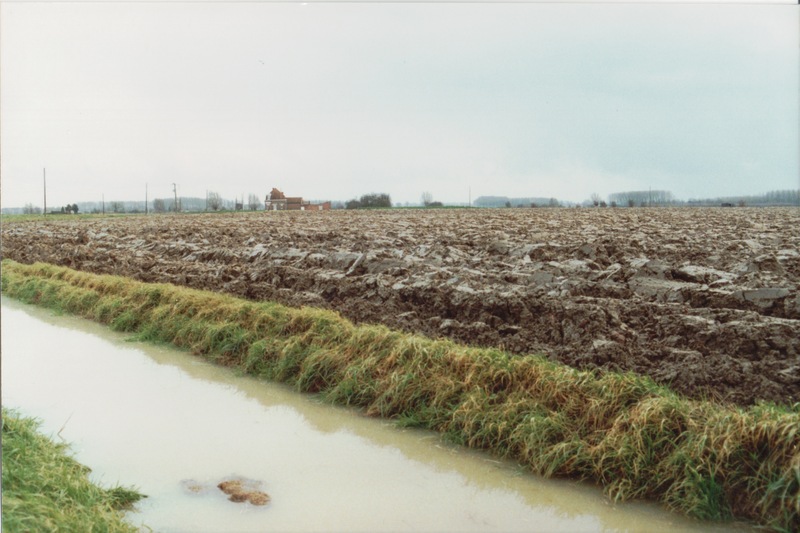 The Dorfprozelten history reveals that John was uncertain about his migration and returned to Germany before emigrating once again to the States. He married a Stadtprozelten woman, Ida Rippberger, and had two daughters. So far I haven’t pursued this family in the records as they are part of my general Dorfprozelten interest rather than my specific family research. The various US census reports Josephine living with her husband Peter Buettner (aka Buttner), and children Bertha, Lizzie, Peter, August, George and A(u)gusta. They lived at 307 Jackson Street, Syracuse. [vii] At the time of the 1900 census Peter Buettner was working in real estate. They had been married 27 years and all eight of their children were still alive. On the census documents Josephine records that she arrived in America in 1873. 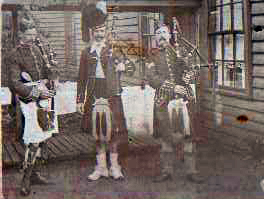 Peter was also German and had arrived in 1869. He had been naturalised but I’ve yet to pursue that thoroughly. George Jacob emigrated circa 1883, following his sister Bertha, and as we now know, his sister Josephine and brother Lothar. George (aka Jacob), born 13 May 1865, was known to have married an “Englishwoman” and while we don’t know her surname, the census reveals that her first names were Mary E. She had been born in England and her father was English but her mother was Irish. 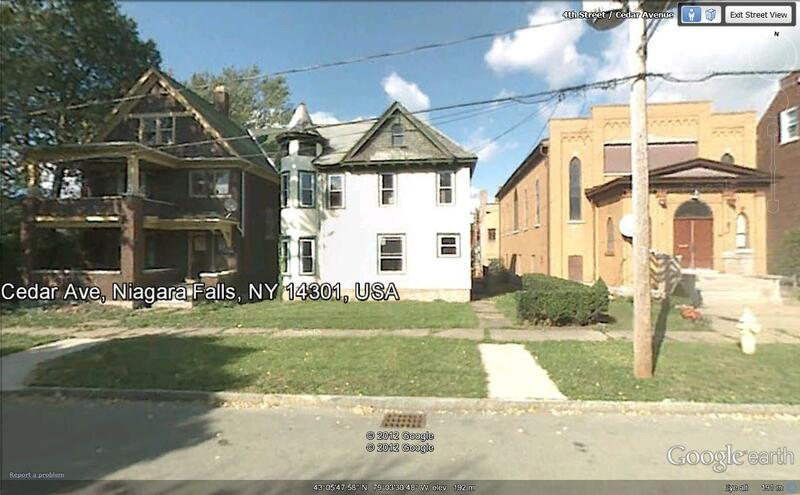 George and Mary also lived in Syracuse at 310 Jackson Street in 1910 and at 519 Tallman St in 1930. George was (another) butcher working in the markets. He was also naturalised. George and Mary had no children from their marriage. 402 Cedar Ave, Niagara Falls. Google Earth satellite view. Lothar Ulrich was a totally unexpected ring-in as his existence wasn’t even known. It appears that he was the child born in May 1858 as this reconciles with the census details. 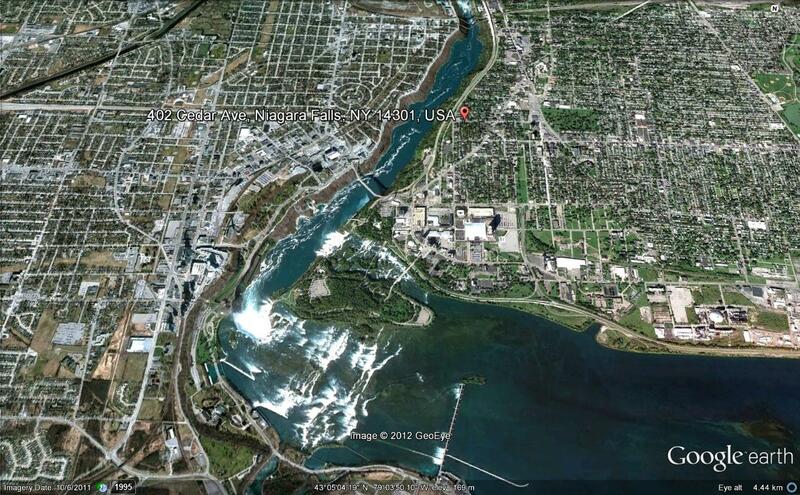 Lothar had ventured a little farther than his siblings and was living at Niagara Falls. The Falls have been a low priority on my bucket list, but that may change with these discoveries! Lothar also had a large US-born family and had obviously established himself successfully in his new country after arriving circa 1881. The census tells us he worked as a master brewer, which is an interesting diversion from other family traditions which focus on butchering or hospitality. Perhaps it too was a skill he learned before leaving Bavaria. Lothar’s wife, Anna E, was the same age as him and also came from Germany. They had seven children of whom six survived (assuming my reading of the form is correct): Adolph J, Richard, Jacob L, William and Augusta. They also had their grandson Frederic Clock/Klock living/staying with them at different times. Lothar appears to have died between 1920 and 1925. This family lived for many years at 402 Cedar Avenue, Niagara Falls. The city directories tend to reaffirm the information found on census records including whom the wives are, and where they all lived. The white house appears to be 402 Cedar Avenue and looks likely to have been the one Lothar Ulrich’s family lived in. Well that’s lots of loopholes to close and questions to answer but at last I’ve made a start, and successfully tracked down some of these 19th century emigrants from Dorfprozelten, Bavaria to the United States. Many of them are related to my family through my 3xgreat grandmother Eva Catharina Happ later Ulrich then Kunkel. 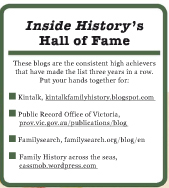 I’m hoping that by posting about these families I may flush out some distant cousins who can share information. So if you’re related to any of these families I’d love to hear from you. There are two of George Kunkels’ nieces who remain unaccounted for: Maria Augusta (b 21 February 1856 and Ernestina Veronika (b 24 February 1863). 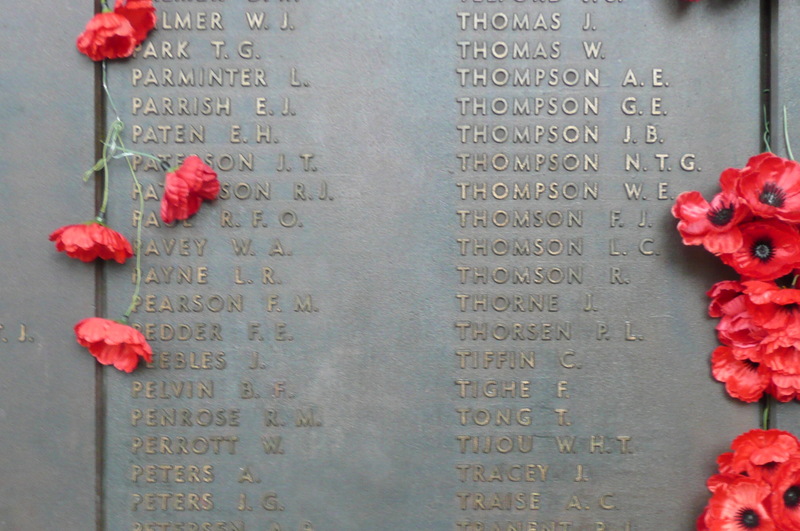 Did they die young although not shown as such in the local history? Did they marry and move within Germany? Did they too emigrate, and if so where? 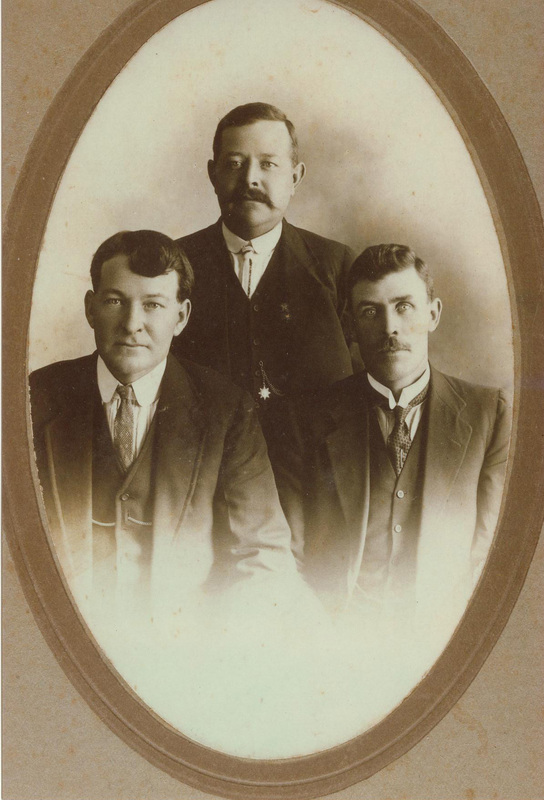 Was my ancestor George Mathias Kunkel the only member of his family to make the great migration voyage to Australia? How did he get here, given that 26 years of research have failed to turn up an answer? Meanwhile I’m none the wiser about the elusive Philip Joseph Kunkel born 1840 in Dorfprozelten. 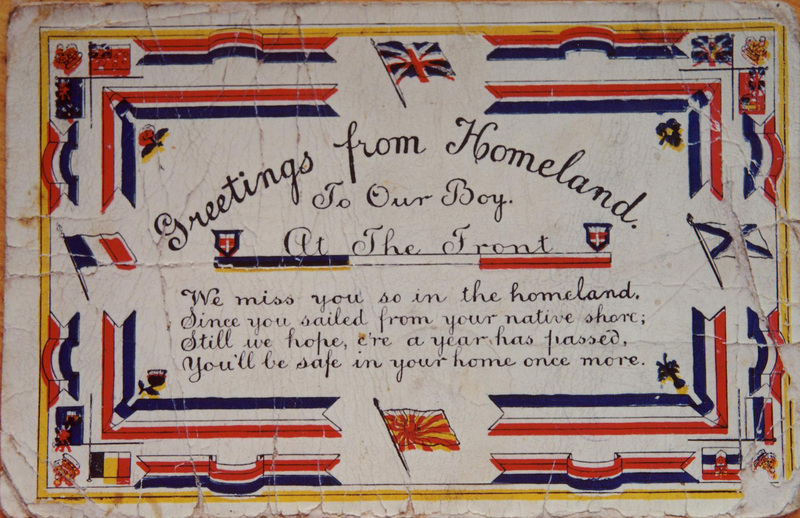 If your US or Canadian ancestor fits the bill, please do get in touch. I’d love to see if the family tale is true. 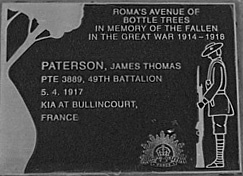 I have found a number of trees on Ancestry which relate to these families, and have contacted the owners. It will be interesting to see what the next few days bring. I am greatly indebted to Georg Veh and the other local researchers in Dorfprozelten for the background to this story. If you have Dorfprozelten heritage please leave a comment so I can give you the details on ordering their excellent local histories. [i] Dorfprozelten am Main, Teil II. Veh, G. 2002. [ii] House #52 in the Dorfprozelten book, ibid. [iii] Syracuse Herald 28 December 1939, page 6 column 2 per the Newspaper Archive. 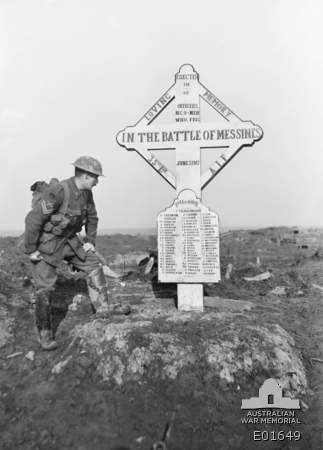 [iv] His obituary lists his sons, adding one who does not appear on the census (Albert E) and omitting another (George) as well as his daughter Augusta. [v] Syracuse Herald 6 March 1916, page 8 per the Newspaper Archive. [vi] Dorfprozelten op cit, page 143. [vii] 1900 US federal census. Yesterday I was out on the back deck nearly all day chasing research rabbits down the hole. 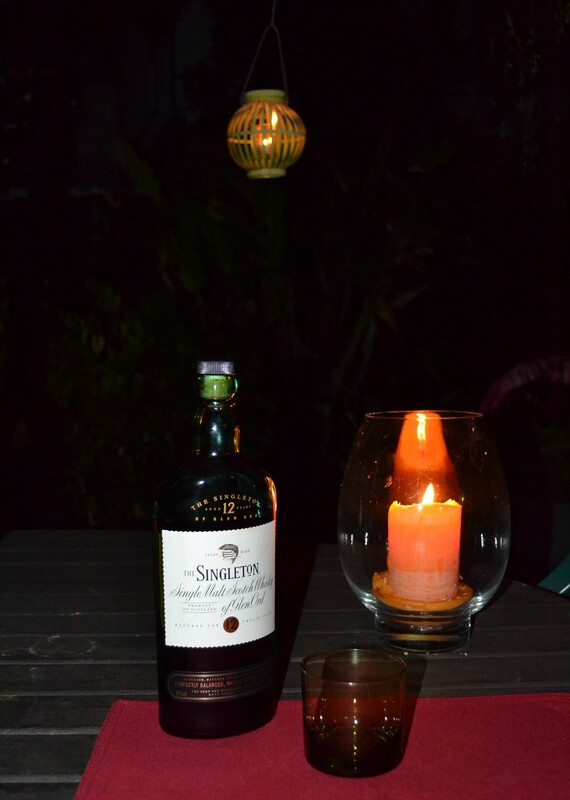 Today I’m driven inside by the pounding rain –the first of the season. Woo Hoo! 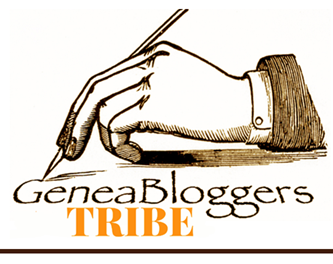 (writing this and posting have taken me into yet another day and now it’s just HUMID!). It’s been ages since I’ve put my nose to the research grindstone and yesterday involved some new learning as I ventured into the US records properly for the first time. 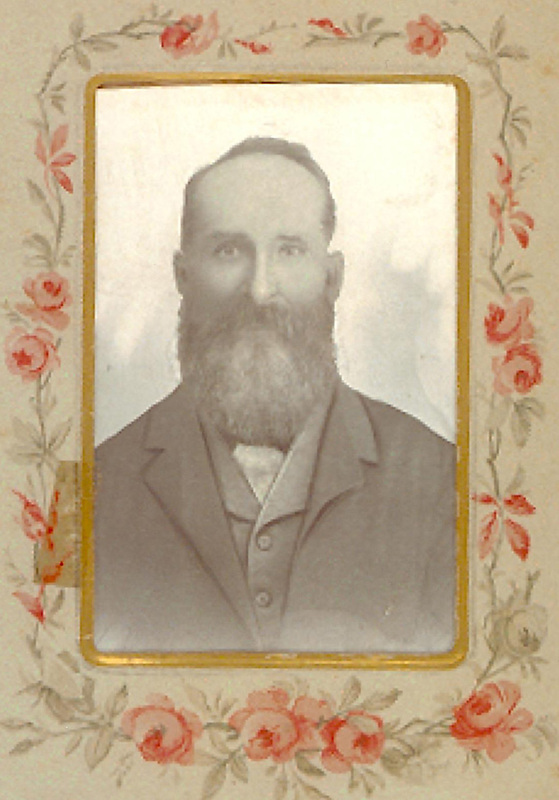 I’ve been dabbling from time to time trying to find my 2x great grandfather’s brother, Philip Joseph Kunkel born 1840, but without conclusive success. Yesterday’s sleuthing started with Chris Paton’s blog alert on the release of New York Naturalisations. 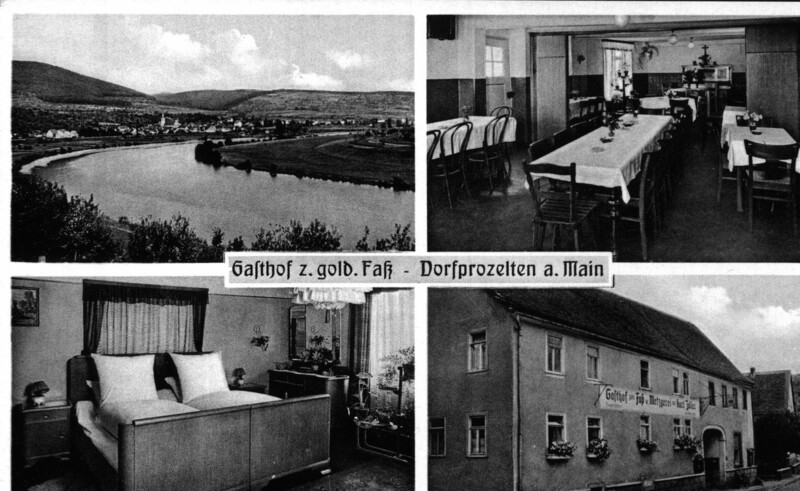 George Mathias Kunkel’s mother was Eva Catharina (Catherine) Happ, whose family had lived in the village of Dorfprozeltenon the River Main, Bavaria and owned an inn, Das Goldene Fass, there for at least 100 years. Her first marriage was to a man called Georg Jakob Ulrich from nearby Stadtprozelten. They had surviving children Maria Ludovika (died aged 23), Josefa Gertrud (married Haun), Jacobina, Karl (died aged 22) and Jacob August. Three other children had died in infancy as was quite common in the village at the time. Georg Ulrich died quite young, aged only 34, leaving Catharina a widow, again not uncommon. Das Goldene Fass before its demolition for a bank. Image kindly provided by Georg Veh. Unusually Catharina did not remarry quickly (a few months later was typical), perhaps because she had more economic autonomy through being the owner of the inn. 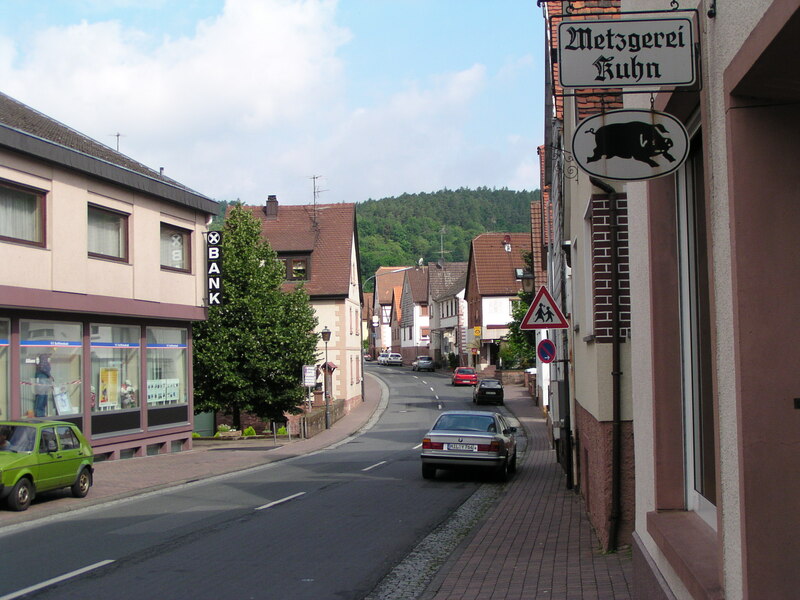 Her second marriage was to Adam Kunkel from a village called Laufach in the Spessart Forest region. 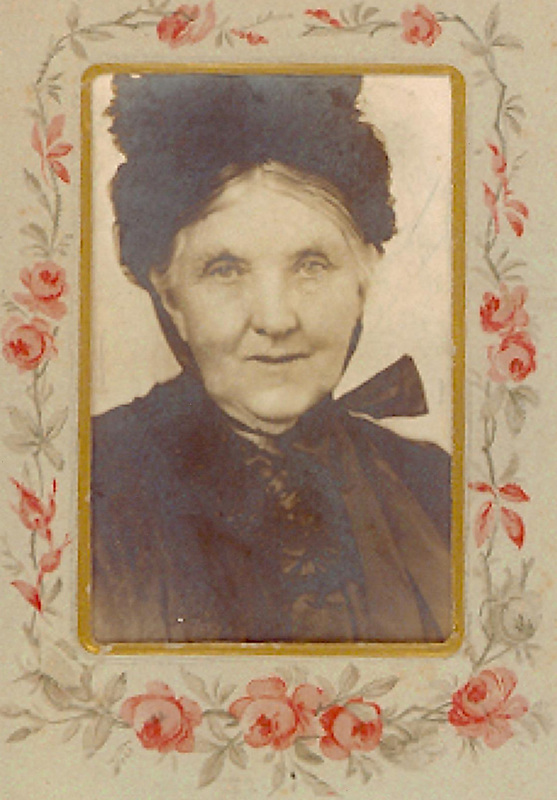 Their surviving children were Georg Mathias (my ancestor, b 1834) and his brother Philip Josef (b 1840). 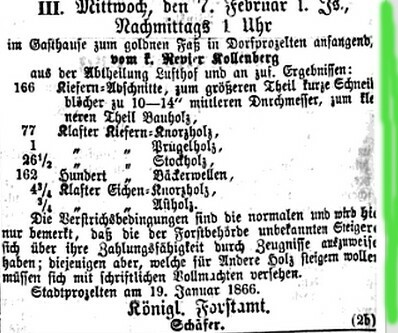 It’s perhaps worth noting that in this part of Bavaria (very Catholic), baptism typically occurred on the same day as births unless the birth was late in the day. 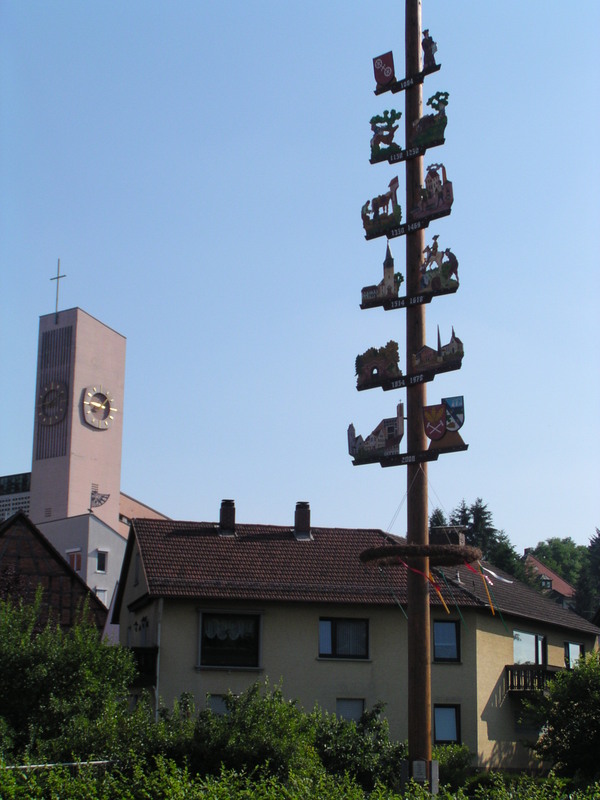 The Laufach church and a historical Bavarian display. P Cass 2003. The family story in Australia has always been that one son came here and one (or two) went to “America”. 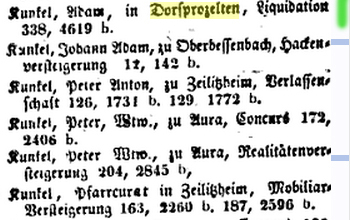 As Philip Joseph Kunkel disappears from the Dorfprozelten church records I’ve assumed (yes, I know!) 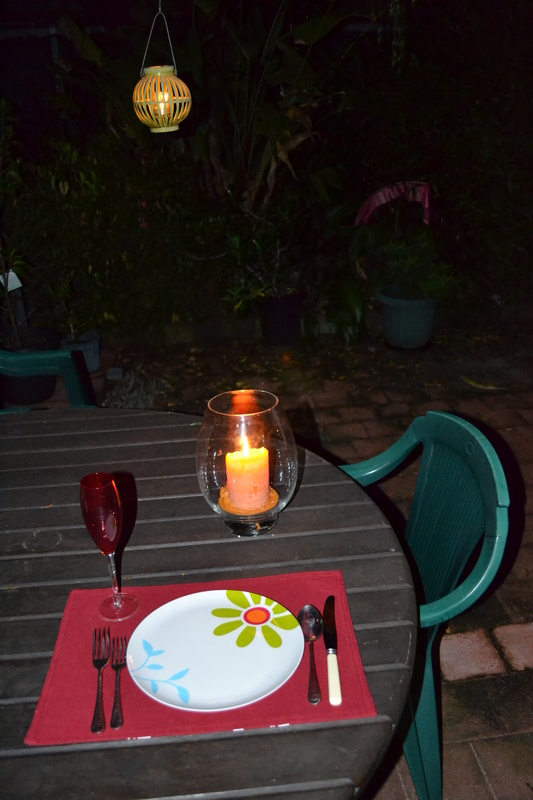 that he’s the one I’m searching for…far easier today, in theory, than it was in the pre-internet era. Catharina’s eldest son, Jacob August Ulrich, inherited the family’s inn, Das Goldenes Fass, while my ancestor, Georg Mathias, emigrated to Australia. Jacob married Elisabeth Firmbach circa 1851 (perhaps the impetus for George to migrate?). 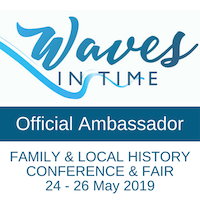 Thanks to the local history and the generous local historian, Georg Veh, I know their children were Josephine, Georg Jacob (died in infancy), Maria Augusta, a child (of whom more later), Bertha, Ernestine Veronika, Georg Jacob and Karl (died in infancy). Of these I knew that Bertha had emigrated c1881 to the US where she married a Dorfprozelten man, William Kuhn. Brother Georg Jacob followed her c1882 and married an “Englishwoman”. 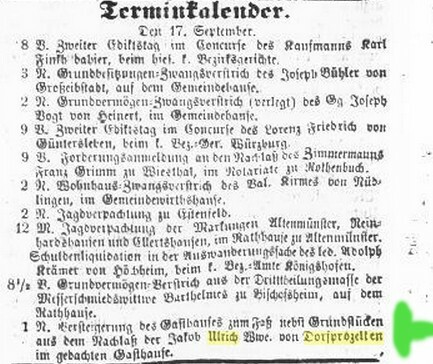 Tragedy struck this family in a big way in 1868 when, within months, four of the family died from lung disease (Lungensucht), perhaps TB? Jacob died on 19 June, son Karl on 1 July, Jacob’s wife Elisabeth on 20 August, and his mother Catharina on 15 October. What a terrible time for the remaining family as they lost one loved one after another. 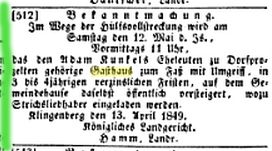 Yesterday’s research revealed a new discovery: Jacob and Elisabeth’s eldest daughter had also emigrated, circa 1873, only five years after her parents’ death. 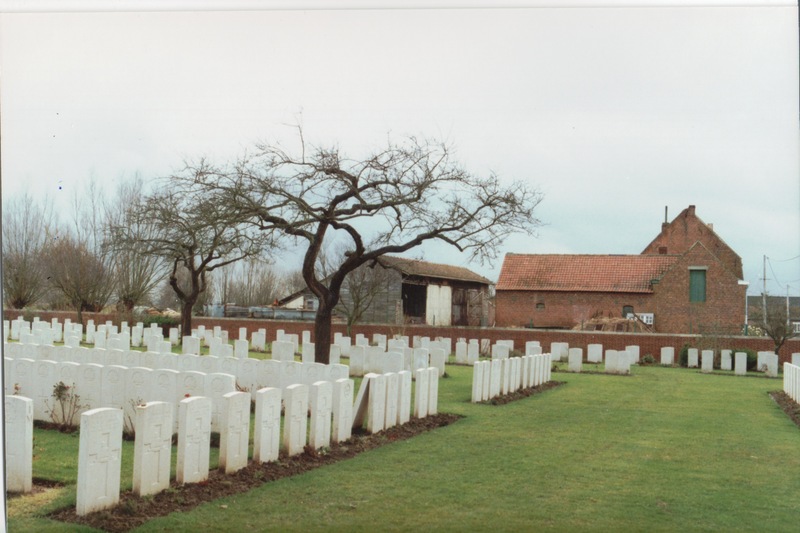 What became of the surviving four children, two still under ten, is unknown, presumably they were cared for by other family members, aunts or uncles since their Kunkel/Happ/Ulrich grandparents were also dead. What happened to the Happ family’s inn? After Jacob August’s death it was taken over by August Ulrich, possibly Catharina and Georg Ulrich’s youngest son, though the birth dates don’t gel. In 1930 the family sold the inn and for the first time in two hundred years it moved out of the Happ descendancy. 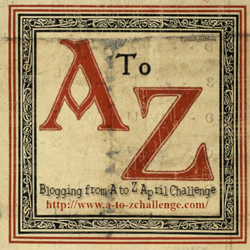 This post looked like being two much to digest unless split into two parts so Part 2 is for the American discoveries. Next post: Across the Pond: the American connection. 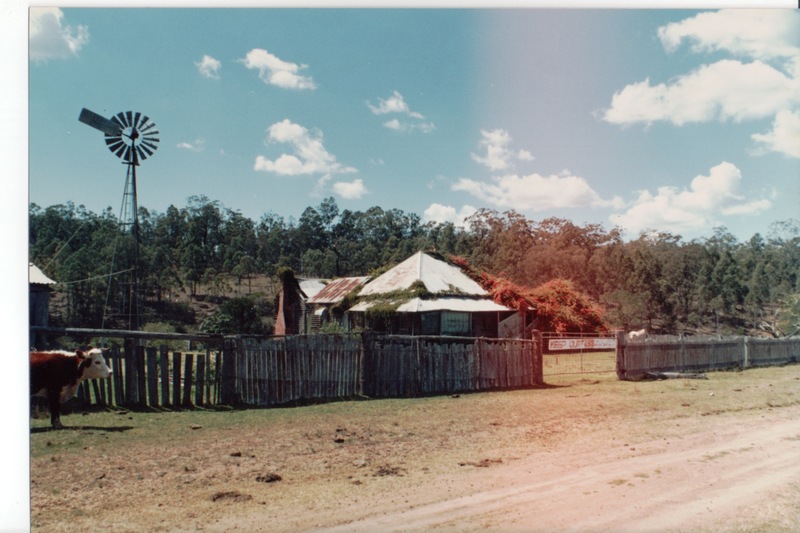 Many years ago my father told me that his great-grandfather George Kunkel was at the goldfields of Lambing Flat or Captains Flat in far south-eastern New South Wales. When I started researching my family history, this was one of my early investigations. 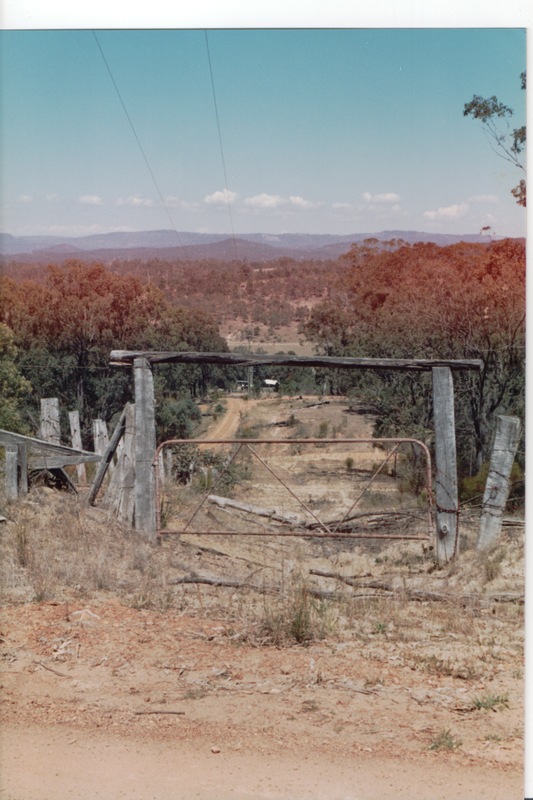 I soon found that the discovery of gold at Captains Flat didn’t occur until 1882 and it seemed impossible that he would have been gold-digging as the family would have been busy establishing their farm at the time. Lambing Flat near Young might have been more of a possibility as it had opened earlier, 1860, but even so the family were then in Ipswich with George working as a pork butcher and Mary was having a child most years. Now much as I loved my father he wasn’t always what you could call a “reliable witness”, as he had a tendency to either tell you nothing at all, or turn the story around. On the other hand, he was the only child of his father, who in turn was George Kunkel’s eldest grandchild, so perhaps there was truth in there somewhere. On a driving trip in 1994, I visited the Lambing Flat Museum in Young and finding nothing, mentally filed this story as improbable if not impossible. Perhaps George really had been on the Victorian goldfields which would have fitted with his approximate arrival in Australia. 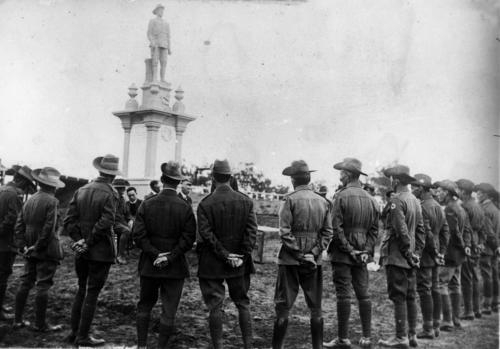 Some years later, new indexes were created of Queensland’s earliest Equity cases in the Supreme Court. 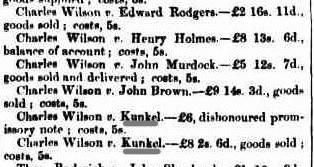 Accustomed to searching indexes and finding nary a mention of the Kunkel surname, I nearly fell off my chair to find him mentioned. 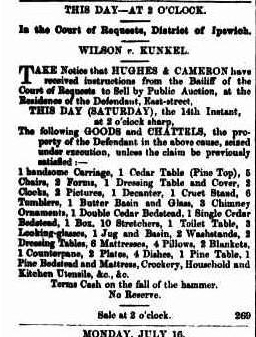 Soon after I visited Queensland State Archives to look at the relevant documents and was thrilled to find that not only was George Kunkel a witness to the case, but the defendant, Carl Diflo, also mentions that he knew George in the old country (Bavaria) and that he was a pork butcher on the Tooloom goldfields not far over the border in New South Wales[i]. Eureka! 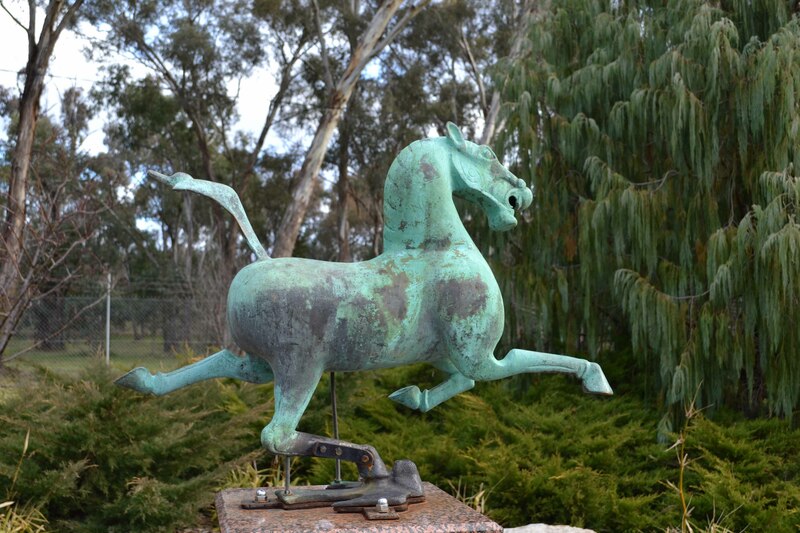 It seemed I had the root of the story about George’s adventures on the goldfields. He hadn’t been digging for gold but was pork butchering for the men, probably a more reliable way of earning money. On top of which, this had all occurred in 1859, when birth records etc suggest he was safely ensconced in Ipswich. Another interesting by-product from this court case, is that while the other Germans needed translators, there is no indication that George was given or required one. I doubt his English was so much better after being married to an Irish woman for only two years, so perhaps he’d been able to speak some English when he arrived. Questions, questions. The birds at the Lambing Flat Gardens were keen for a feed and this black swan followed us around. 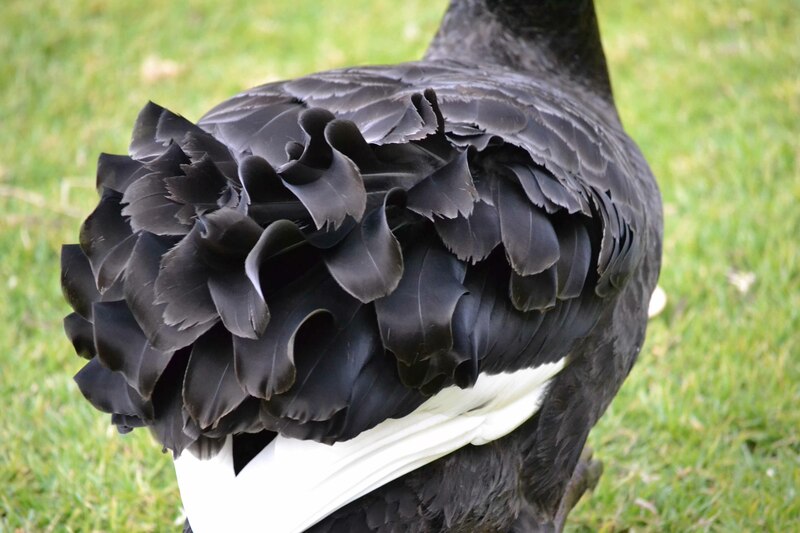 I thought his tail feathers were just gorgeous. © P Cass 2011. Perhaps George really had been at some of the other goldfields but I’ll probably never know. 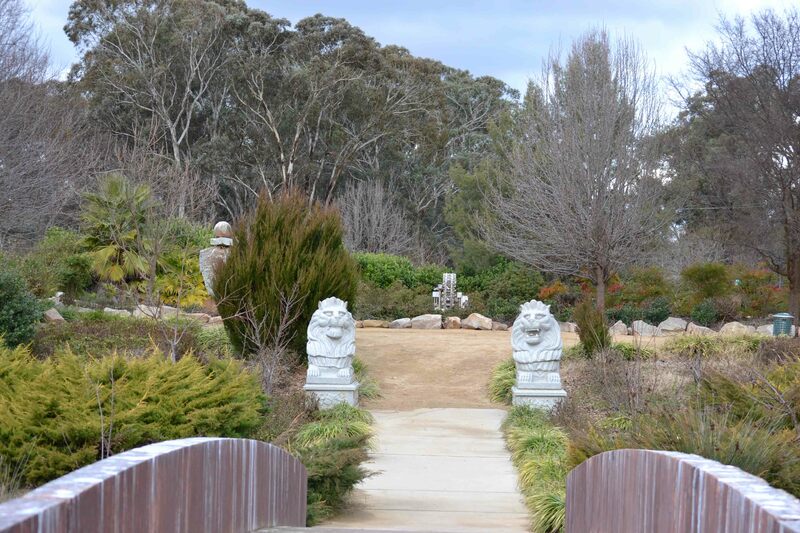 Still the family stories stay in my mind, so when we X-Trailled into Young last year en route to Canberra we made a point of visiting the Lambing Flat Chinese Tribute Garden on the outskirts of the town. 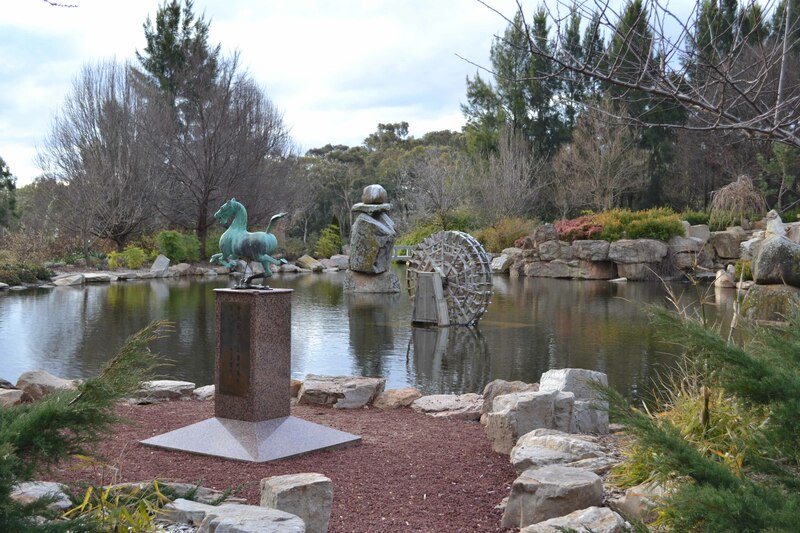 The site commemorates the Lambing Flat Riots when the European miners turned against the Chinese who were on the goldfields in one of Australia’s most severe race riots. Nowadays it is a peaceful park perfect for families to spend a few hours relaxing. However there is another perspective put forward in this article which I found most interesting albeit somewhat strident. 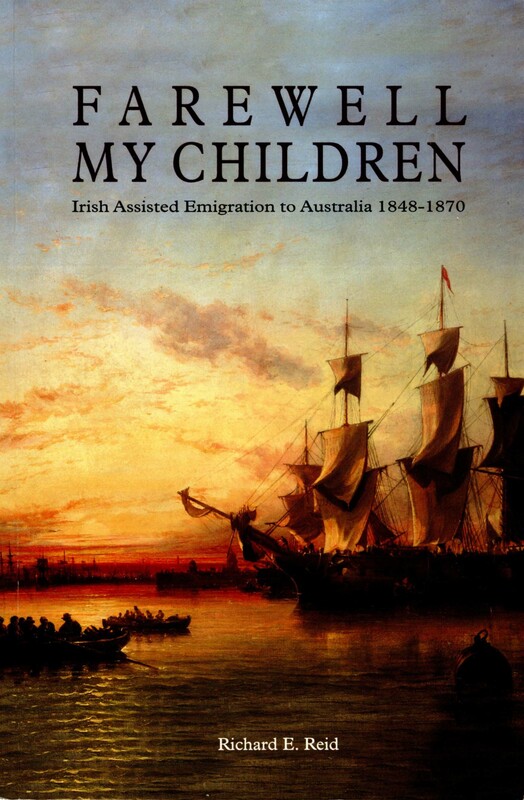 I have no genealogical connection of my own to Yass but I do have an interest in the Irish Orphan Girls who came from East Clare to Australia around the end of the Great Famine. The community and authorities of New South Wales were already objecting to being sent Britain’s rejects from its workhouses and especially these young Irish girls who were perceived to be ignorant and dirty Irish peasants with loose morals. So as the Thomas Arbuthnot arrived in Sydney on 3 February 1850, with its 193 Irish orphan girls, there was already great deal of resistance and antipathy to them. In this context, the achievements of the ship’s Surgeon Superintendent, Charles Edward Strutt, and the girls he’d delivered safely to their new country, were even more remarkable. Strutt had insisted that cleanliness was vital and also ensured the girls were well treated on the long voyage. 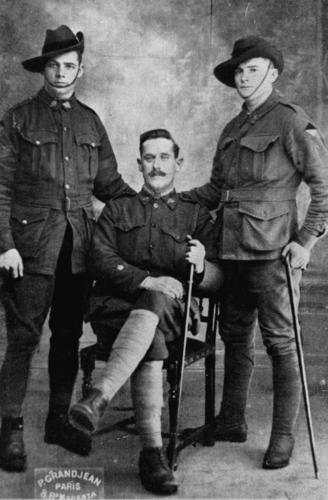 Such was their affection and respect for him, that when he asked for volunteers to accompany him to Yass where there was a need for 105 servants, 130 girls wanted to go with him. And so they set forth on yet another long journey, loaded on 15 drays with their belongings[ii]. One of the girls on the dray may have been Mary Hurley who was employed at nearby Burrowa. Her sea chest made the journey from the Gort Workhouse in Galway to Sydney, probably on the drays to Yass thence to Burrowa, and 161 years later was an iconic feature in the Not Just Ned exhibition in Canberra. As the girls and Strutt steadily made their way to Yass, all the newspaper commentary was negative: they did not want these ignorant Irish Catholic peasants in their community. Strutt was clever though, they stopped before they came into the town and the girls got into their best clean clothes so that when they arrived they looked the picture of cleanliness and tidiness. Within days, the community tide had turned and the girls were welcomed whole-heartedly. Even then Strutt continued his care for the girls, ensuring they were placed with good employers and visited them all before leaving. What a remarkable man! 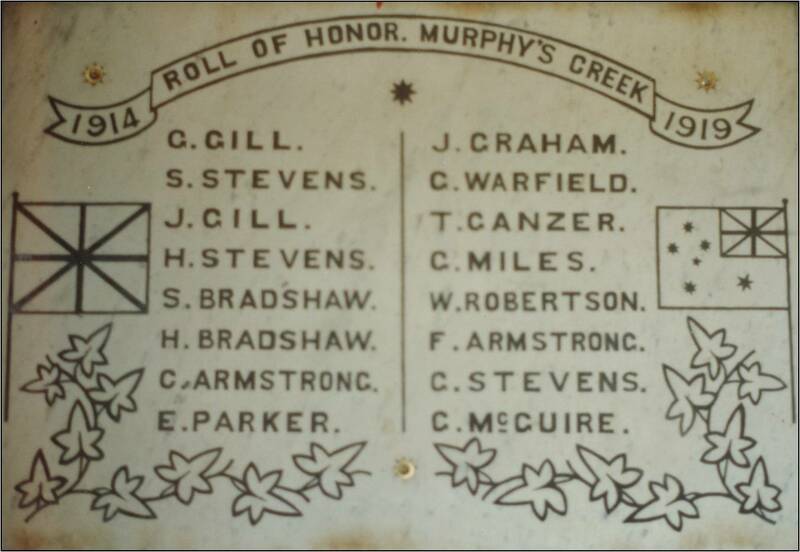 No doubt these young women form the foundation of many an Irish-descended family in the Yass area. In writing this synopsis of Yass and the orphan girls I’ve drawn heavily on two books, Richard Reid’s Farewell my children and Barefoot and Pregnant Volume 2, by Trevor McLaughlin. If you have an interest in these immigrants, these books are essential reading. There is also an online database for all these orphan immigrants here. I’d be interested in hearing from descendants of any of the orphans from East Clare in particular eg Scariff, Bodyke, Sixmilebridge, or Kilseily/Broadford.